I love traveling the winding dirt roads through the Ozark hills where homesteads, farms, and woodlands passed down through the generations form the landscape for my Waterside Kennels series. When I can’t get out to explore on my own, I find inspiration in the tales and photos of people like Jim Warnock, author, photographer, and avid trail trekker. In addition to many articles on hiking and travel published in regional magazines, he also authored the book Five Star Trails: The Ozarks which is a “must have” resource for anyone interested in hiking. I turned to Jim for advice while I was writing Dangerous Deeds and his thoughtful suggestions provided the details I needed when crafting trail scenes. I also drew inspiration from his photographs. Here are a few from one of Jim’s 2013 adventures; you can read the entire post here. I hope this inspires you to go out and explore, wherever you are! The trail passes the oldest known structure along the Buffalo River. 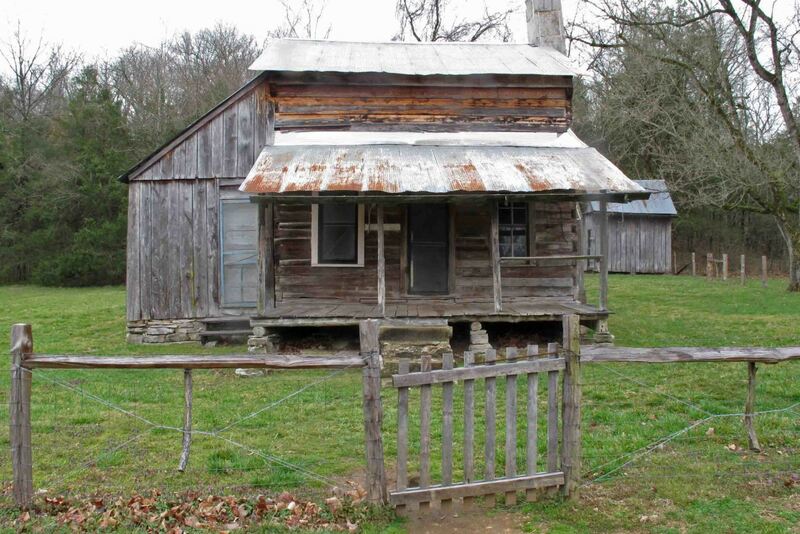 Built by Alvin and Greenberry Parker between 1847 and 1849, the structure is now known as the Parker-Hickman cabin because it was occupied by the Hickman family from 1912 to 1978. 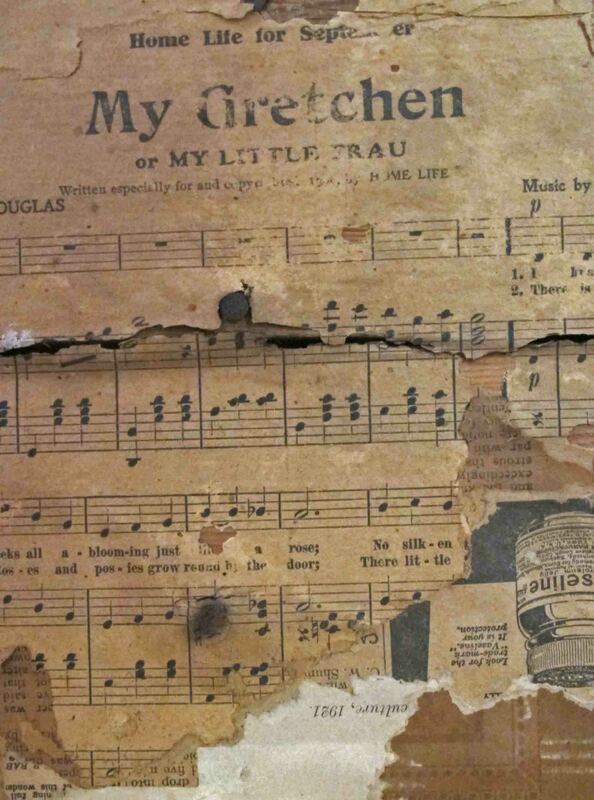 Newspapers and magazines were used to cover the inner walls and some print can still be read. 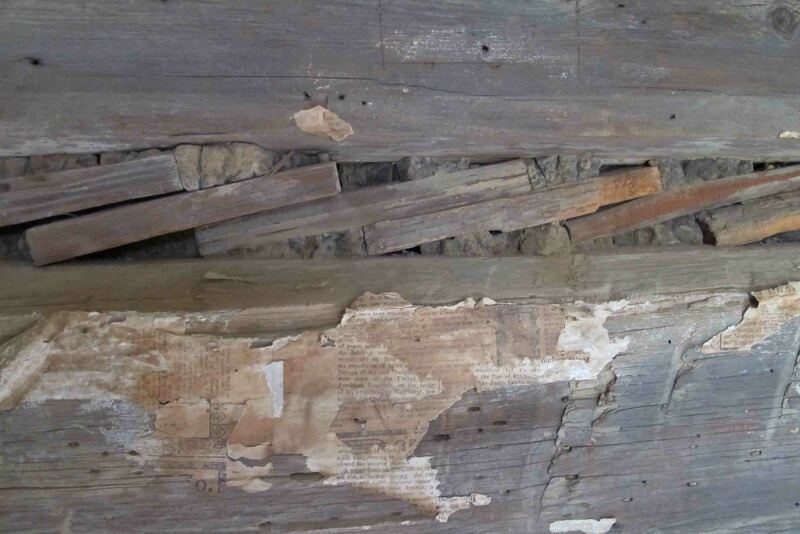 Mud and wood pieces were used to fill between some of the large timbers. The cabin was skillfully built with precisely cut half-dovetailed log corner joints. Want more beautiful photographs and stories? Be sure to check out Jim’s blog at https://ozarkmountainhiker.com/. If you’re a fan of hiking trails, be sure to check out Jim’s book Five-Star Trails: The Ozarks: 43 Spectacular Hikes in Arkansas and Missouri available in print and digital formats. 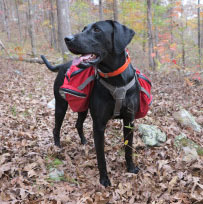 One last recommendation: if you’ve never hiked with a dog, reading Jim’s 12-point summary of what makes Hiker-dog a good trail partner will make you appreciate this experience. 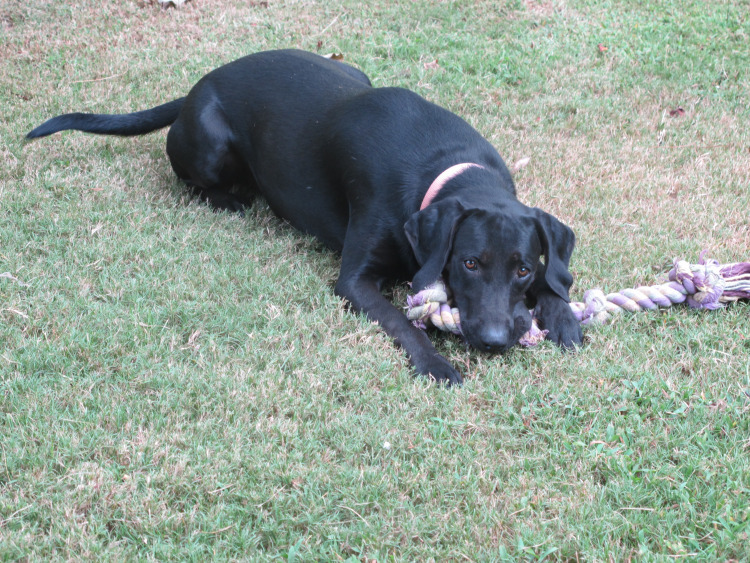 In addition to featuring dog-related fiction and information, I also showcase writers, photographers, and bloggers who live and work in the Ozarks. I find it’s a great way to introduce readers to the beauty of this place I call home, and readers tell me they enjoy learning more about the Ozarks region. As I’m working on Dangerous Deeds, the second book in the Waterside Kennels mystery series, I’ve been researching hiking trails across the Ozarks. Many are on private lands, accessible with permission to individuals and groups for hiking and camping, often in exchange for trail maintenance. 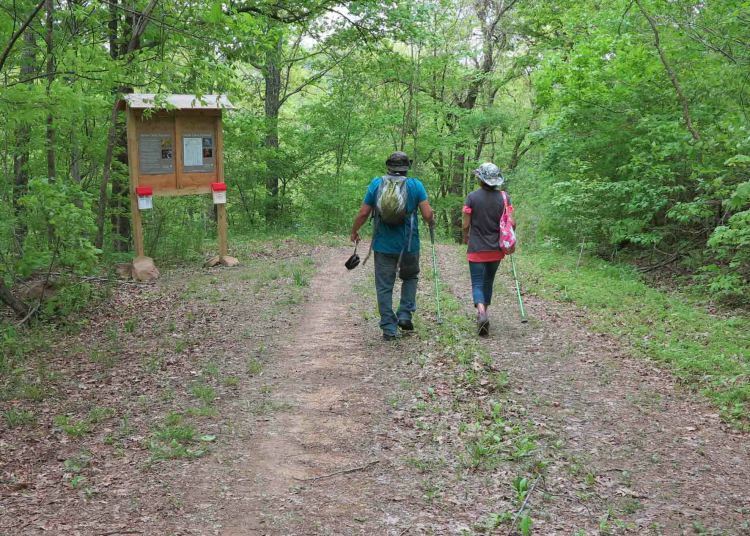 Other trails, including the famous Ozark Highlands Trail, are almost completely on public lands, with private landowners granting OHT easement for the rest. Much of that trail is maintained by volunteers. One of those is Jim Warnock of the ozarkmountainhiker.com blog. 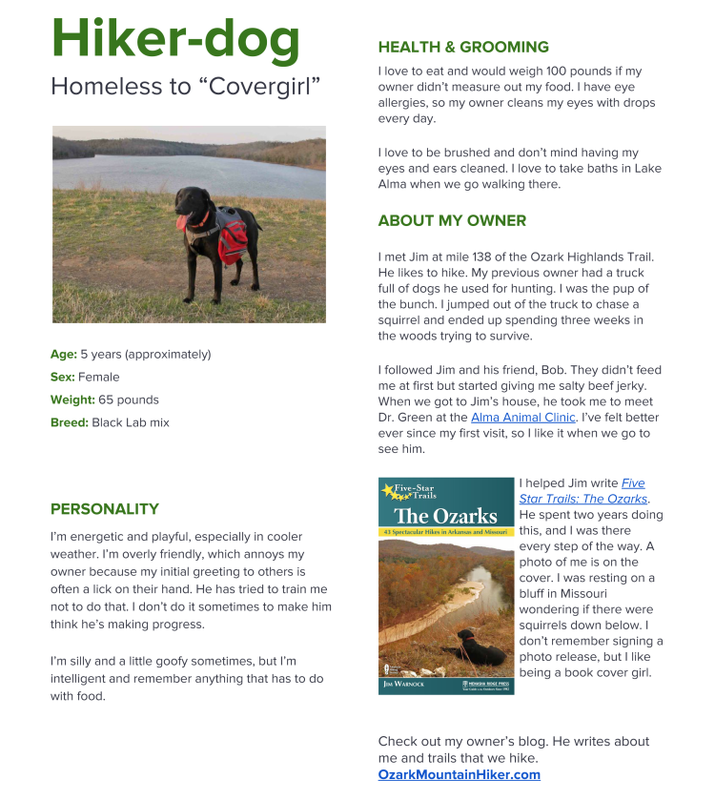 Longtime followers of this blog might remember I shared Jim’s story of how Hiker-dog came into his life last year with an update here. Since then, Jim has generously shared his expertise and experience on the trails, making my research much easier. (Thanks, Jim!) With his permission, I’m reblogging his advice to novice hikers. Even if you’re a veteran of the trails or live beyond the Ozarks, you’ll find some good information here. What do I wear? What do I take with me? Where should I go? When should I go? What are the dangers? Will a bear get me? Many questions come to mind when you consider taking a hike for the first time. We’re going to consider these questions and be sure we have some simple answers before heading out. A few good questions can keep us out of trouble and ensure that we want to continue hiking after our early experiences. Disclaimer: This is not an all-encompassing day hiking guide. These are just my thoughts based on personal experience and a few mistakes along the way. You can wear almost anything and get away with it on the trail. Don’t worry about fashion, but function. 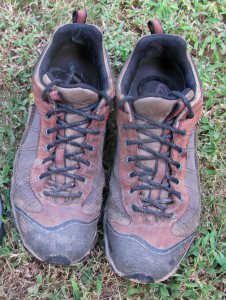 We’ll look at this from the ground up since feet are very important to hikers. Socks are among a hiker’s most important pieces of clothing. I use SmartWool socks, but there are other options. Don’t wear cotton socks unless you like blisters and soggy, smelly feet. Any tennis shoes of reasonable strength are fine for day hiking. Don’t go purchase a heavy pair of hiking boots unless you just want to. I don’t even wear heavy boots when backpacking. I use low-top hiking shoes. I like Oboz right now, but whatever feels good on your feet should guide your decision. Pants – If the weather is nice, any pants will do. If it’s cold, I prefer anything but cotton pants. Cotton gets wet (making you colder) and then will not dry out in the humid Ozarks until a few days later. When hiking in the Ozarks I almost always wear long pants because of undergrowth, briars, and ticks. Underwear – For a short day hike, you can use cotton, but as you work up to longer hikes, you’ll want a pair of undies made from a fabric other than cotton. Shirt – A cotton shirt in summer is alright but if there is a chance of colder temperatures, something like an UnderArmor t-shirt will keep you warmer than cotton. Hat – A hat is good for sun protection and heat retention, depending on the weather. I accidentally left my hat in my car at the Grand Canyon once and was thankful I had a bandana to tie into a makeshift hat. In some conditions, a hat is a necessity! Rain protection (especially in cooler temperatures) – A light rain jacket can be wadded up in the bottom of your daypack and forgotten about until needed. Gloves – Anything but cotton and only if needed. I wear some cheap army surplus wool glove liners when I hike, and they’re fine. I also have some nicer gloves for colder weather but am nervous about losing them. They hook together which is nice for storage in my pack. Finding one glove is more irritating than finding one sock in the drawer. As little as possible is my short answer, but there are some essentials you’ll want to have depending on the conditions. This list is drawn from the ten essentials that are published in many forms. Below is my list roughly by personal priority. Water and access to water – Put your water in a bottle or a bladder in your pack. One expert hiker friend, Grey Owl, swears by prune juice bottles. He gave me a couple, and I use them all the time. I carry a small Sawyer water filter in my daypack in case I run low. It doesn’t add much weight and has made me a few friends on the trail when others needed water. Food – Snacks that you’re used to eating are what you should take on the trail. This is no time to try something new in the food department. Extra clothing – Think protection from the elements. If it looks like rain, carry rain protection. If it looks like cold, carry an extra layer. My all-time favorite is an insulated vest. Stuff it in the bottom of your pack and it’s like a little insurance policy against a cold snap. Navigation – Don’t assume that you can’t get lost on a well used trail. Like Jeremiah Johnson, “I’ve never been lost, just confused for a month or two.” Fortunately, I’ve only been confused an hour or so, but it can be a little scary if you’re not prepared. A trail map of the area you’re hiking can make or break your trip. It doesn’t have to be elaborate. Sometimes I just copy the appropriate pages from a trail guide and put them in a zip-lock bag. A compass is important. Even a general idea about directions can save you some grief. Don’t count on the compass app on your phone or GPS. Batteries don’t last. I have a small compass/thermometer that ties to a belt loop or my day pack. It’s always there. Illumination – A small headlamp or flashlight in your pack can be a big help if a hike takes longer than anticipated and you’re walking the last part of your trail in the dark. I carry a small LED light in my day pack at all times. Sun and bug protection – A little sunscreen can make you a happy and healthy hiker. Bug spray around the cuffs of your pants can discourage ticks. A little spray around your hat area can discourage deer flies and mosquitoes if you’re hiking in summer. Check for ticks often. 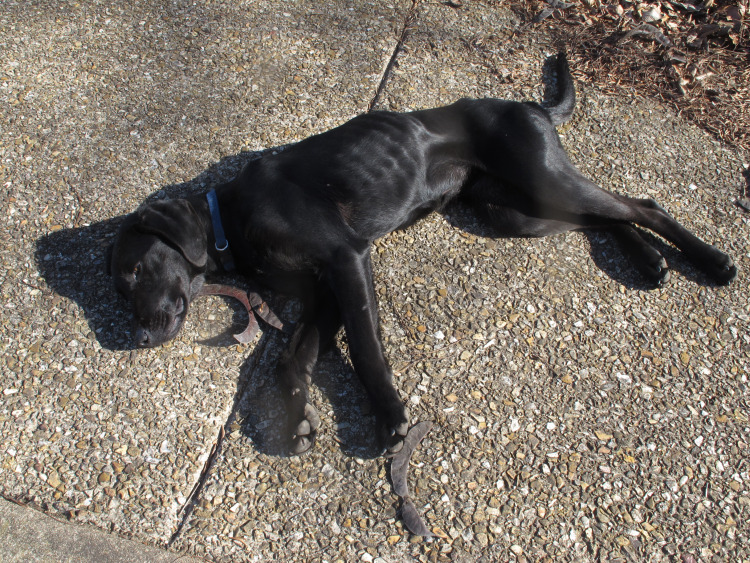 If they get attached and stay awhile, your chances of getting one of several tick-borne diseases increase. I can usually feel the little guys climbing up my legs and pick them off before they attach. First Aid supplies – I like a zip-lock with some bandaids and any medicines I might need if stranded for a while. Keep it simple and light and then forget about it until you need it. Avoid purchasing a first aid kit because it will not be customized for your needs and you’ll be carrying unnecessary stuff. Fire – I carry a lighter. Don’t smoke, but I always have a lighter with me just in case I need a fire. Emergency shelter – This is simple to do. Cut a 8-10-inch hole close to the bottom of a large trash bag. I stuff it in the bottom of my pack and forget about it. I can put the bag over me and sit inside for shelter. The small opening allows me to see and breath but protects me from the elements. I’ve never used this but it’s like that cheap insurance policy I mentioned earlier. Most ten essentials lists include repair kit, but for day hiking I don’t carry any tools other than a small pocket knife. One of my hiking poles has some duct tape wrapped around it for emergencies. I’ve used this twice to reattach a shoe sole for other hikers. And here’s Hiker now. At her latest vist to the vet, she weighed in at a healthy 66 lbs! Jim says she’s enjoying her new life. Together they hike the Lake Alma Trail six days a week, and as we can see from the photo above, she loves playtime. She even likes to visit the vet clinic! 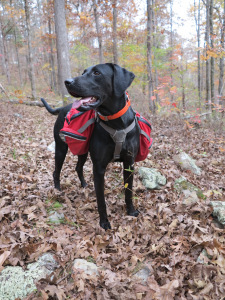 To keep up with the adventures of Hiker and her trail partner Jim, be sure to visit Jim’s blog at http://ozarkmountainhiker.com/. Here’s hoping our paths cross soon on the Ozarks trails!